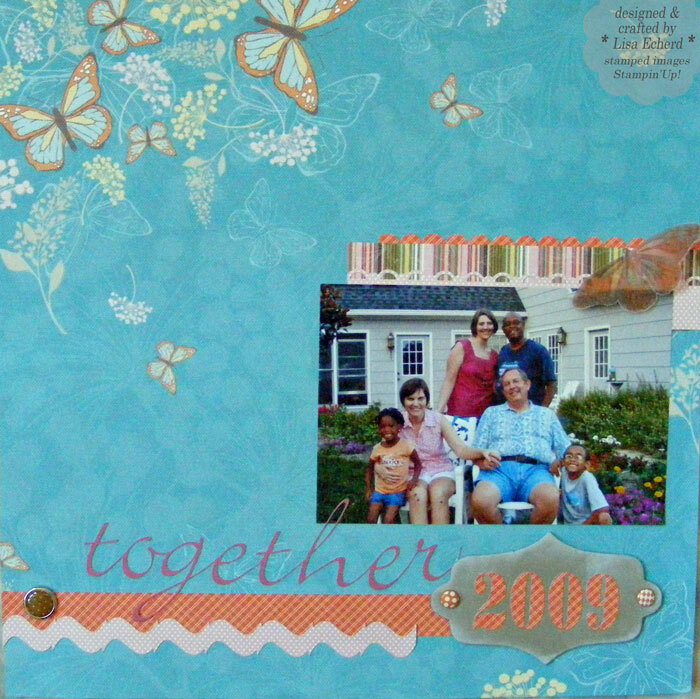 Rarely do I do a layout with only one photo and no journaling. I often see beautiful ones in galleries but I wonder what the story is. For me, scrapbooking is all about telling the story, capturing the memories of what you were doing and how you felt. This page will be the first of several I've already posted about the kids visit. So the rest of the pages will really tell about our week together. The photo does tell one little piece of the story of that week. See my scabby knees. I fell on the day before the kids arrived for a week's visit and missed all the activities they did away from the house. I'll always remember little Nai Nai saying each morning, "Will you be going with us today, Miss Lisa?" I was just too swollen to walk very far. Fortunately, we did several things around the house, like "Christmas in July," playing dress up, making ice cream, picking zucchini (Nai Nai is crazy about vegetables) and playing games. I still got in on some of the fun. 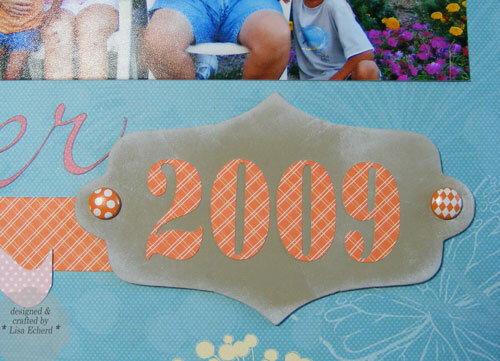 The Cricut and SCAL software cut out all the letters and the little ric rac type border. The border is made by using the tilde (~) symbol over and over again, squished together and then stretched vertically. You can make great borders in SCAL just with simple fonts. 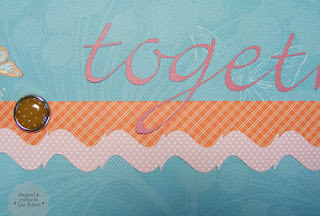 From a class at Two Peas, I learned from Nichol Magourik to use spray adhesive when applying glue to very delicate die cuts. Worked beautifully. To do this, lay the cutout - in my case "together" - face down in a cardboard box, spray with adhesive and then adhere to your project. As mentioned in an earlier post, KI Memories Enchanting grads look great with Stampin' Up! 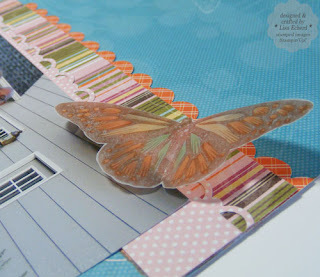 Sweet Pea designer paper.